For those who find inspiration watching a sunrise from the end of a pier, the Off Country Pullover Sweater is made for you. Warm and comfortable for early-morning starts, it has a soft, skin-pampering blend of recycled fabrics (48% cotton/47% polyester/5% other) that feels broken-in and welcoming right from the get-go. 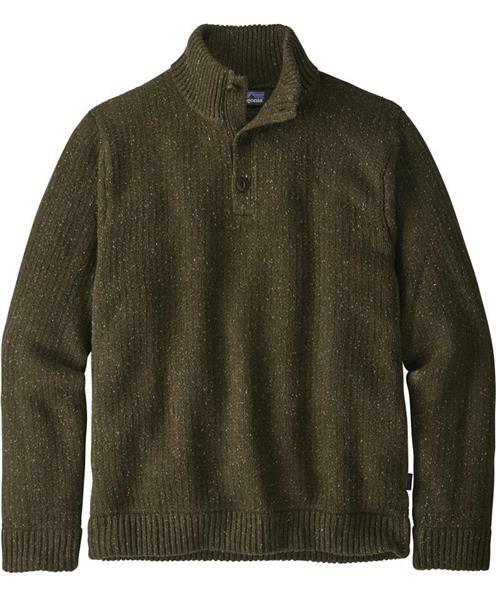 The pullover styling has a 3-button front placket and stand-up collar to protect your neck. Other features include a fisherman’s stitch; rib-knit cuffs, collar and hem; and a hip length that pairs well with other layers.